There are a number of publications produced by Institutional Effectiveness and Analytics. Those interested in a more complete breakdown of information, or in further analysis, should contact us. 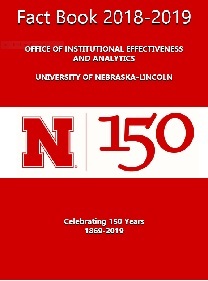 The UNL Fact Book is one of our most popular publications. It is designed to provide a convenient source of information on many aspects of UNL.